You are invited to join our pastor and Rev. 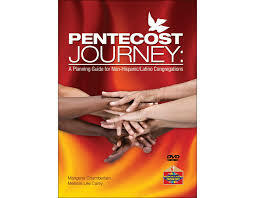 Brenda Vaca with other leaders from area United Methodist Churches at 2:30 pm on Sunday, March 30th for the first session of “Pentecost Journey.” Additional classes will follow on April 27th and a date to be announced the end of May. Brenda is a missionary with the General Board of Global Ministries, and actively involved in implementing the Western Jurisdiction National Plan for Hispanic/Latino Ministry of the United Methodist Church. And she’s great! This special event will help our congregation fulfill Christ’s mandate to make disciples with a particular focus on helping us understand issues related to developing ministry with Hispanic/Latinos. 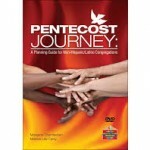 The guiding principle is the vision of Pentecost in which the uniqueness of the Hispanic/Latino cultures is affirmed as ministry is developed. Our goal is to develop a comprehensive ministry plan for our congregation in which effective programs are planned and carried out by taking into account the intercultural context of Hispanic/Latino ministries. The first session will be at Salinas First United Methodist Church, Lincoln Ave., Salinas, CA 93901. If you need a ride or have questions, please call the church at (831) 724-4434. If you can’t attend this event, we ask for your continued prayers for us as we embark on this Journey! Jesus did not say, “This is my commandment, that you love a few people like yourselves.” Or that you love the people you think are worthy, the most famous, or the wealthiest, or whatever criteria you use to cut out the rest of humanity.” That’s not what Jesus meant by love at all! And what’s the news in this you ask? Glory, glory hallelujah, on Feb. 9th our Leadership Circle voted unanimously for us to become part of this movement! This is an historic and significant commitment on the part of our church, and an important step in the right direction. Let us pray that our international and national church comes to understand that all really means all, and that we move quickly towards full inclusion and acceptance of LGBTQ people. And may we the people of Watsonville First United Methodist Church continue to courageously support love in action for all people!